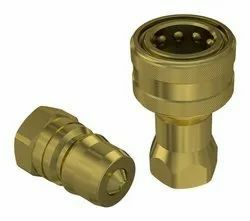 Our range of products include cnc turned parts, stainless steel turned parts, ss cnc turned parts, brass custom parts, quick release coupling and brass decorative parts. 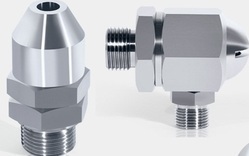 RMS Precision Products is specialize in high volume complex components for the various application. We manufacture custom components as per customers drawing and specification. We produce the custom stainless steel turned parts as per customers drawing and specification. We manufacture individual drawing parts in CNC and as well as on conventional machine from all materials that can be turned, milled, chipped, grinded, honed. We offer the various material grade in stainless steel material. We manufacture and supply high quality stainless steel turned components as per customers drawing and specification. We have crafted a strict foothold in the industry by offering a premium quality collection of Brass Custom Parts to our customers. The offered parts are made available in multiple specifications to fulfill the requirements of several applications. These parts are offered with Natural, Nickel, Silver and Tin Plated. Additionally, customers can avail these parts in bulk quantities at competitive prices. 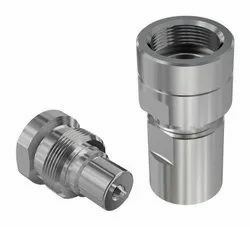 We produce high quality quick release coupling as per customers drawing and specification. 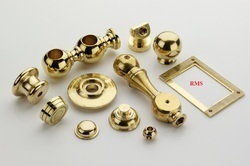 We are manufactures Brass Decorative parts as per customers drawings and samples. 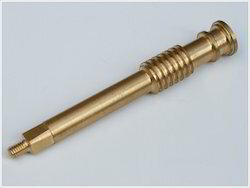 We can provide the CNC Long Turned Parts upto 42mm dian and 175mm long in various material like Brass, Stainless steel, Copper, Aluminium as per customers drawings.